Whilst detoxing and staying healthy is a hot topic post holiday season, I, on the other hand, have leftover to go through, mainly roast chickens. In my opinion, holiday feasts especially Christmas and New Year aren’t complete with roasts of some sort. Since my household is a big fan of chicken, hence, roast chicken it was. Cold roast chicken is a favourite of mine. It makes a wonderful addition to cold sandwiches and salad. That being said, this post is not about sandwiches and salad. 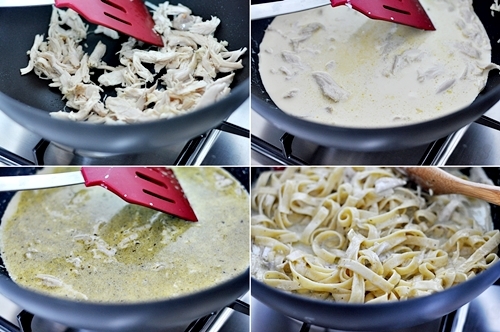 I was inspired to recreate the creamy basil pesto fettuccine with roast chicken which I had at Benson Café Orange. 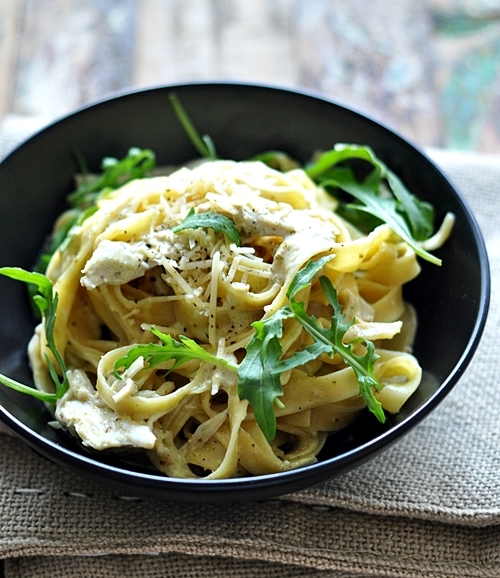 It was well seasoned, perfect cream to fettuccine ratio with the delightful hint of basil pesto and garlic and, roast chicken to cut through the otherwise carbohydrate packed dish. Note – remember to reserve about 1 cup of the pasta water, in case you need a runnier consistency for the sauce. In a large pan, heat up the olive oil over medium heat. Add garlic and shredded chicken and saute until the garlic is aromatic. Add cream and basil pesto and cook until the sauce is bubbling. Season with salt and pepper. Turn off the flame, and cook the fettuccine according to the packet instructions. Drained and add to the cream sauce. Toss until well combined. 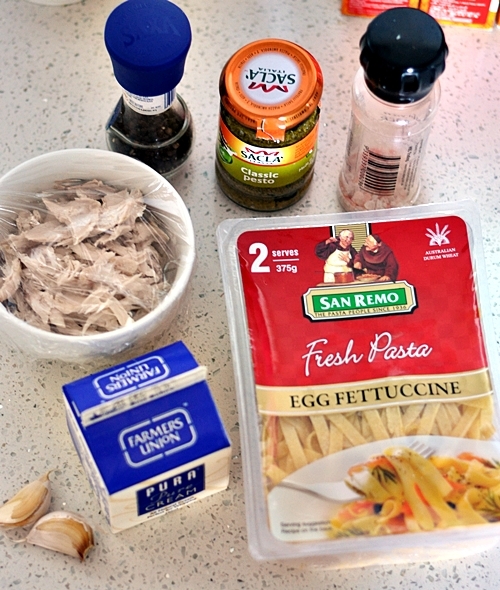 (You can add a little pasta water should you wish for a runnier consistency). Serve with more black pepper, parmesan and some greens. 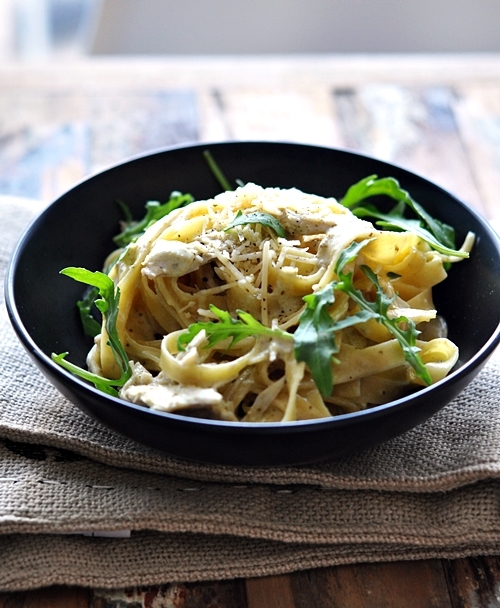 Who COULD say no to creamy pasta? 🙂 This looks delicious — and easy!